When more than one tooth is missing, there are three common treatment options: the traditional tooth supported bridge, a removable partial denture and an implant supported bridge. In this situation the benefits of dental implants for replacing multiple teeth are even more obvious. Our San Francisco office makes teeth replacement convenient! A removable prosthesis, such as a partial denture, actually accelerates the bone resorption process, resulting in more rapid bone deterioration. In addition, the clasps which hold the partial denture in place put extreme pressure on the natural teeth they hook onto, loosening them and in many cases, eventually leading to the loss of those teeth. Most patients with partial dentures state that they are uncomfortable and that they rarely wear them. 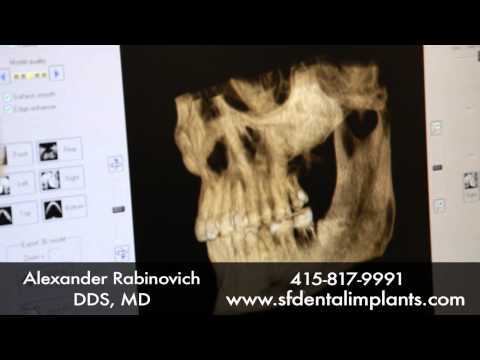 Call the San Francisco Dental Implant Center today at (415) 992-9188, or email us at info@doctorrabinovich.com. 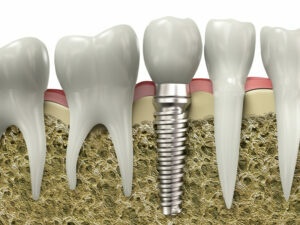 People from all over the San Francisco Bay Area have come to us for multiple teeth replacement via dental implants. Why not you?